There are two government funded incubators in Hong Kong: Hong Kong Science and Technology Parks Corporation (HKSTP) and Cyberport. This article is an overview of life at HKSTP, insider tips about the application process, and the total costs associated with renting an office space. All information is based on my personal experience of joining the Incu-Tech program with my startup in April 2017, as well as official documents released directly from HKSTP . The government created HKSTP with the goal to elevate Hong Kong to a regional innovation hub in Asia. 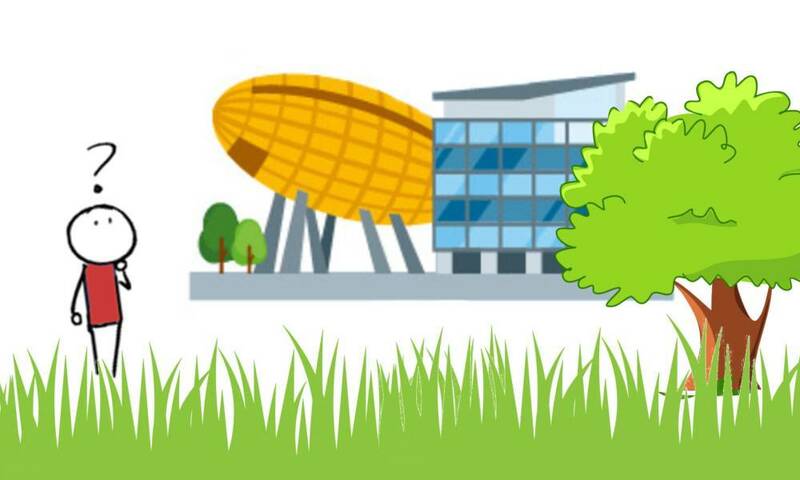 The office campus was opened in 2001 and has evolved into one of the nicest working environments in the city. The main HKSTP campus is built on reclaimed land and located in the North part of Sha Tin, right in front of the sea. The reason the campus is relatively unknown (and in my opinion undervalued) is its distance to Hong Kong Island. As an analogy, the route from HKSTP to Cyberport with public transportation takes about 2 hours, which is as long as flying from London to Madrid! Additionally, HKSTP owns a co-working building close to Kowloon Tong MTR station called Lion Rock 72. If you live on the Island side, HKSTP might not be a convenient office location for you. But if you live in Kowloon or even New Territories and might own a car or a scooter, then you will have a very enjoyable experience. In our case, we joined the Incu-Tech program which is the most common for commercial B2B solutions. Moving our office to HKSTP was a decision I am very happy with. I put together a list of direct benefits that will be useful to know if you are considering joining with your own startup. In most cases, offices in Hong Kong are either located on top of shopping malls or in industrial areas. As such, it is a great feeling to have your own startup office in a campus that is meant for innovation and technology only. The air is clean, there are multiple places to eat outdoors, two coffee shops and even a clubhouse with a well-equipped gym you can access for HKD 20/session. What more do you want? Being part of one of the incubation programs and having your company address at HKSTP allows you to sponsor working visas for your employees and yourself. This is particularly useful if your company was incorporated recently and you don’t yet have documents such as an audit report, annual return etc. that are usually required by Immigration to process a visa. If you are a non-permanent resident like me, this benefit alone is reason enough to join a recognized incubator. HKSTP has an entire department dedicated to connecting startups with investors. Not all the introductions were useful, but it is definitely a good chance to gain experience in talking to Angels or VCs and get honest feedback. Also, HKSTP can nominate your company for pitching at the bimonthly HKBAN events. These events are an opportunity to get USD 50K to 250K angel funding from local investors. But you can only participate if your company is nominated by a member – in this case HKSTP. If you made a good impression within the HKSTP community and have a presentable version of your product/service, there is a high chance HKSTP will sponsor your company to attend a conference relevant to your industry for supporting your business development activities. They will prepare a nice booth for you (much larger than the ones at the Rise) and eventually give you the chance to become a speaker at the conference. 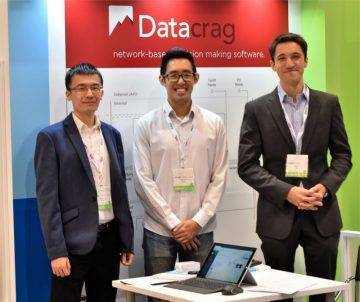 In our case, we got a well-positioned booth sponsored at a large supply chain conference at the Hong Kong Convention and Exhibition Centre in late 2017. The event was enjoyable, and we could connect with multiple prospective customers. This benefit applies only if you need to run resource-intensive code on the cloud or host a platform with high traffic. The credits can be used across all services. In our case, we chose the USD 15K credit for 2 years and it took about a month to activate. If your business is more China focused, you could alternatively apply for Alibaba Cloud credits. The package is similar to the AWS one. Time wise, it takes 3 to 6 months from the submission of the application to getting the result. The assessment panel presentations are scheduled every 1.5 months. If you receive an acceptance letter, then it can take another 3 to 9 months to actually complete the move-in logistics. The reason is office availability, and depending on your office size you might need to wait until another company moves out before you move in. The full list of requirements is accessible on the HKSTP website. Make sure to get the contact details of your case manager even before filling out the application form. The SharePoint site is a bit buggy and you need to provide many documents. A quick phone call for clarifying open questions can save a lot of time. Don’t be too concerned about the assessment panel presentation. The judges are friendly and want to grow the startup community in Hong Kong. And because HKSTP is still relatively unknown you won’t have to compete with too many companies. In our case, 7 companies presented on the same day and 5 were accepted. HKSTP provides a financial grant to startups for covering part of the operation costs. To access this funding, incubatees are subject to milestone assessments conducted at the end of month 3 and every 6 months thereafter during the incubation period. Several people told me they heard the milestone assessment meetings were very tough. This was not my experience. In fact, for the first meeting we were over-prepared and then noticed it was a very casual discussion about how things were going with the startup. 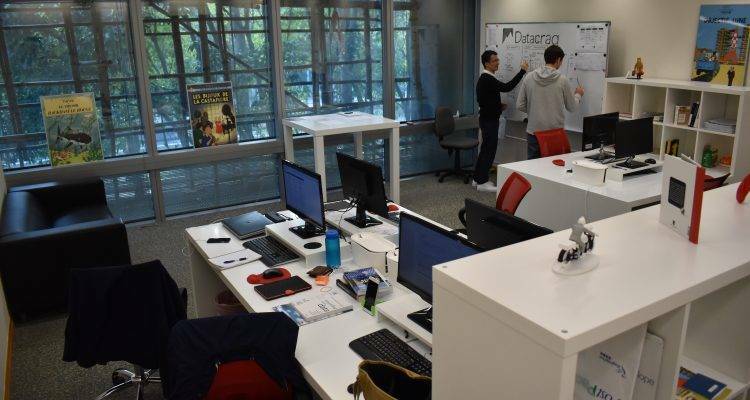 Although your startup can enjoy valuable benefits and the office rent is heavily subsidized, joining an incubation program at HKSTP is not free of charge. Below is the cost breakdown of joining the Incu-Tech program with an office size of 571 ft² (53 m²) over a time period of 3 years. In our case, the total costs of staying 3 years at HKSTP accumulate to HKD 130,396. Note that the management and rental fee are adjusted every year. The numbers above are effective from April 2018 to March 2019 and are likely going to increase slightly in April 2019. On 28th of February 2018, the government designated HKD 50 billion (USD 6.4 billion) to the Innovation/Tech Sector in its 2018-2019 annual budget. 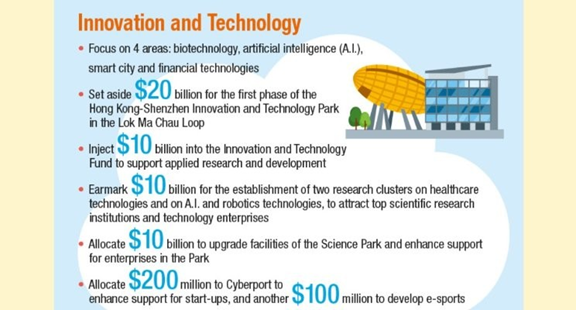 To reinforce the role of the Science Park as Hong Kong’s flagship technology infrastructure, I will allocate $10 billion to the Hong Kong Science and Technology Parks Corporation (HKSTPC). 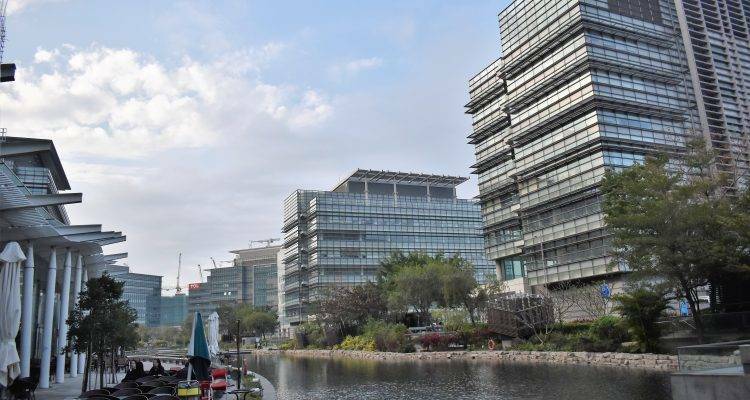 Of this, about $3 billion will be used to construct research-related infrastructure and facilities, whereas the remaining $7 billion will be used for the HKSTPC to enhance support for its tenants and incubatees, and set up a Smart Campus in the Park, etc. The assessment panel is a bit soft and accepts too many companies with weak business models. For example, one of the startups on our floor was building fridges that can follow consumers around inside their homes. The market for moving fridges might be too niche to be worth exploring. There should be regular assessments to ensure the incubated companies are actually using their office space. My impression is that many companies use HKSTP as an address office only. Given the long waiting time for completing move-in logistics, office space should not be underutilized. 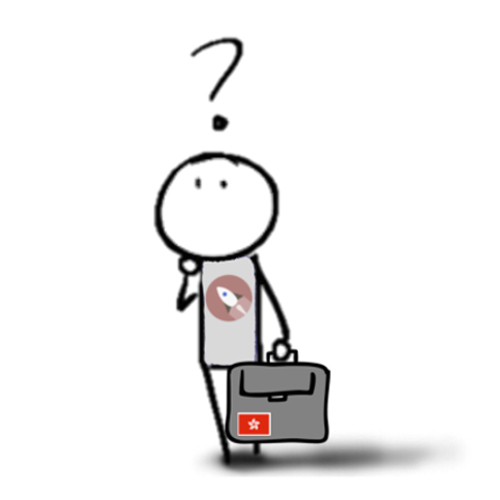 By being more stringent on which startups to accept/keep and using part of the HKD 7 billion government budget to increase the direct financial support provided to incubatees (by, for example, waiving the rent completely), HKSTP could make it more attractive to join the incubation program and improve the quality of its tenants overall. The campus does not have a library. HKSTP is a great place to be as a startup. The application process is straight forward, and the government is injecting more funds to enhance the support of its incubatees. I believe it is the right moment to apply if your company was incorporated in Hong Kong and you have an innovative business idea. Hi, we also got the 15K AWS credit. Just wondering how long it takes to get them activated? For us it took almost 2 months to get our credits activated. Would suggest you directly contact your AWS account manager if you need to speed up the process.